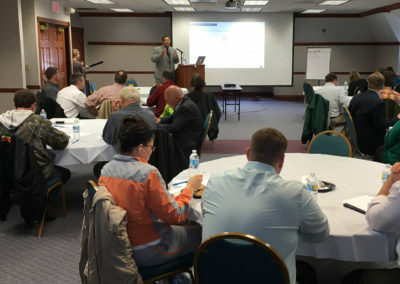 The Sangamon County Water Reclamation District retained the services of Crawford, Murphy & Tilly (CMT) to upgrade a facility that had not had any major upgrades since it came online in the early 1970s. Due to growth in the community, loading to the plant was in excess of its rated capacity. CMT was retained to perform a detailed assessment of the plant capabilities, and worked with Illinois Environmental Protection Agency (IEPA) to obtain a re-rating of the plant’s permitted capacity. This re-rating allowed for the continuation of growth in the Springfield Metro Area during the planning, design, and construction of plant improvements. CMT was then retained to continue with the planning and design of the plant expansion. 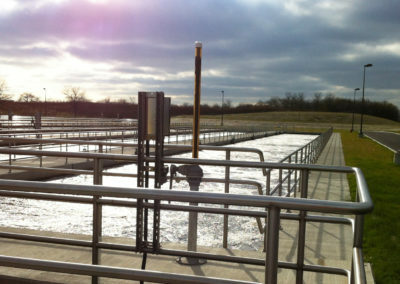 The Sugar Creek wastewater treatment plant is currently rated for an average flow of 10 MGD and a peak flow of 25 MGD. The proposed improvements will increase the average flow to 15 MGD and the peak flow to 37.5 MGD. These facilities will feature state of the art non-proprietary biological phosphorus and total nitrogen removal. 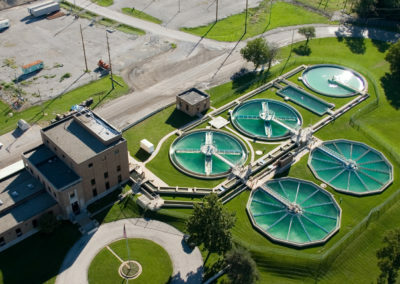 This facility is designed with a great deal of flexibility in the operation of the aeration tankage to accommodate the wide variation in flows seen at the site. CMT staff worked with SCWRD staff and utilized Biowin modeling to develop design criteria and to develop operating scenarios for the variable operation of swing zones within the aerobic and anoxic zones of the process.